Jacob R. Cox, owner and founder of Cox Law Office, has extensive experience representing a large variety of legal clients, from individuals and small businesses with personal legal issues to large corporations involved in class actions and complex litigation. Prior to establishing Cox Law Office in 2010, Jacob worked as an attorney at Ice Miller LLP, one of the largest law firms in Indianapolis. While at Ice Miller LLP, Jacob concentrated his practice on advising clients on contractual and risk management issues and representing businesses in a wide array of litigation and disputes. Now, Jacob focuses his attention on addressing the general needs of individuals, entrepreneurs, start-up companies, and small businesses. By offering flexible fee arrangements, Jacob is able to provide these clients with a level of specialized attention and legal expertise that many have come to expect only from the largest of law firms or from hiring in-house counsel. When not in the courtroom or working with clients, Jacob focuses his efforts and attention on spending time with his family and giving back to the Indianapolis Community. Jacob is passionate about environmental concerns, and currently serves on several committees for the Indiana Recycling Coalition. Jacob is also an active member of the Indianapolis and Indiana State Bar Associations, as well as a member of the Butler-Tarkington Neighborhood Association. Jacob is admitted to practice in the Northern and Southern District Courts of Indiana, the 7th Circuit Court of Appeals, as well as state courts throughout Indiana. 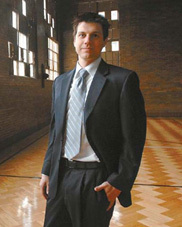 In April of 2011, Jacob R. Cox was named an Up And Coming Lawyer by Indiana Lawyer Magazine. Jacob was one of 15 young lawyers who were found to have "demonstrated a knack for leadership and for making an impact" early in their careers.